So many of my podcasts are concerned with growing good soils. Nettles pops up as a great plant, a must in fact for growing good soils and for adding nutrition to our spring diet. 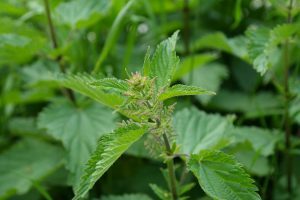 If you don’t have any nettles, can you think about dedicating an area just for them? 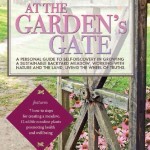 A new addition that will contribute so much to your garden? Seeds are available too if you can’t find a neighboring gardener willing to share. Nettles are one of my favorite spring herbs. Their reputation to “sting” usually makes many wary or loathe this plant. Yet they are a powerhouse of nutrients not only for the soil but for us too. 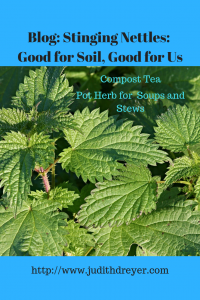 In biodynamic farming, nettle is a major player in composting. Why? This plant also contains formic acid, phosphorus, and a trace of iron. The square and downy stems are covered with tiny sharp spikes that release an acrid fluid when touched much like a bee sting. Interestingly the juice of the crushed nettle leaves can be rubbed on the sting for relief. Each of these spikes or spines is composed of small cells that contain this fluid. Once dried or cooked the sting is neutralized. However once discovered and tried it makes for a nutritious pot herb or tea. Where Found: Nettles are found in most temperate regions and seem to follow man’s migrations. Nettles can indicate a soil rich in Nitrogen. Young Shoots: Nettles are best gathered in the early spring when they are less than one foot tall. Later in the season they get gritty and accumulate crystals, cystoliths that make them unpalatable to eat. I gather for two reasons, one to cook and eat that day, or two, to make a pot of tea with the fresh herb or two, and then dry the rest for later use including winter. Stems: Nettles have been valued for its fiber. While in herb school we separated the fibers found using the cut and dried stems gathered late in the summer. We then wove our own cordage. This fiber was also used in clothing, sailcloth and sacking material. Compost tea: after I gather young nettles for kitchen use, pot herb and tea making, I gather some and place in 5-gallon bucket. I cover about 3/4 full with water. I stir it frequently for about 3 weeks. At the end of three weeks, I add molasses, about a tablespoon to 1/4 cup and let it ferment a bit. When done I dilute the tea 1:10 with water. Then I give each plant a cupful. You can also dilute the tea 1:20, 1 part tea to 20 parts water and use as a foliar spray which can deter bugs and even fungi, such as powdery mildew. At the end of the season, plants are cut back to the ground and added to the compost pile. Place in a pot, about 1 handful and cover with water. Bring ot a boil and simmer a couple of minutes. Drink the tea water and add the greens to rice, veggies, pasta dishes. My podcast guest this week, Craig Floyd, manager for the Coogan Farm in Mystic CT celebrates all plants including nettles. Bright green parts poke up at the beginning of spring offering nourishment both for us and our soils, a treat after winter’s greys and browns. Nettles has been a part of my garden. I wouldn’t be without them. I encourage you to appreciate this little stinging plant more for it offers much. The sting reminds us to quiet down and approach them with respect. Enjoy perusing the seed catalogs and consider nettles. 1. Learn and practice sustainable gardening methods. 2. Take the food from the garden, weeds included, and grow your culinary skills in the kitchen. 3. Identify nutrient-rich wild plants, for culinary and medicinal uses both for us and the garden. 4. Learn about preparing wild edibles for food and medicine. Joan Palmer, the founder of TIOSN, shares her experiences, and how she is attempting to connect the dots between our health, the health of the planet, through the science and art of gardening and nutrition. 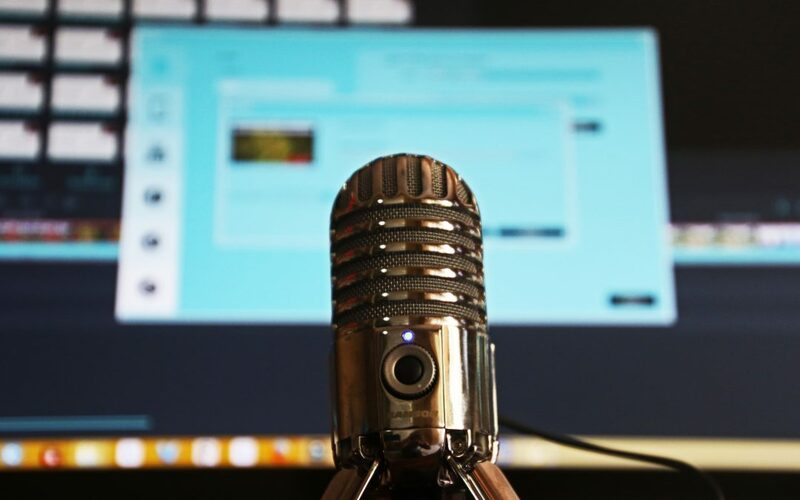 About My Guest: Joan Palmer is the Founder and Director of The Institute of Sustainable Nutrition and owner of Real Food Matters, LLC. Joan has an MS in Human Nutrition, a BS in Education and received her certification as a Family/Community Herbalist. She has been planting the seeds of real food matters for decades through educational programs presented to schools, businesses, organizations, families, and individuals. Joan presents the Art and Science of Eating as part of an accredited master’s degree program in Ct. Description: Holidays are here. Many family and friends have food sensitivities or are choosing to make dietary changes. Gets confusing though doesn’t it? Cousin X is vegan, Auntie Y is diabetic. How can we enjoy traditional foods, family, friends and make healthy choices? I invited Janet back to share some nutrition tips and ideas for the holidays. Her background is in Ayurvedic nutrition and health coaching. She reviews dosha types and how to plan for the seasons, the holidays and gives us recipe ideas. Recipe suggestions are included. Holidays are upon us. We tend to eat more, party more, join family and friends and drink more. And depending on our unique immune system strength, we can open the door to colds and flu. Who among us likes to be sick? Not me and I am sure not you. And it seems that digestion is directly tied to our immune systems which makes building immune strength and resistance a priority. Digestive issues are prevalent from IBS, heartburn/ GERD, and IBD. I am sure most of you have heard of one if not all of these ailments. But what can we do to aid our digestion during these “off our routine” kind of times? My podcast guest this week, Dr. Scott Gerson, MD and Ayurvedic physician reminded me how powerful one herb is on its own. One single herb, such as ginger, contains many constituents creating a unique formula all on its own. Highly recommended in Ayurvedic medicine both traditionally and today, ginger is one plant to keep in our kitchen. Besides adding flavor and pungency to a variety of dishes, a simple single tea from ginger root soothes digestion. 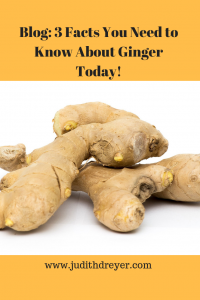 Ginger, popular in many countries for its culinary flavors, can be pickled, honeyed, as well as added to soups, stews, fish, meat and vegetarian dishes. Where found: thought to originate in the Indian subcontinent to Asia. Brought to East Indies by Spanish explorers and brought to Spain and then Europe. Parts Used: Rhizome: a Rhizome is an underground stem: a thick underground horizontal stem that produces roots and has shoots that develop into new plants; from Greek rhizoma “mass of tree roots,” Rhizomes are underground stems that grow horizontally that produce a number of plants and are known to spread rapidly. Nutritional Value: Contains macronutrients and many micronutrients. And as Dr. Gerson explained, a single herb, known for a primary constituent has many more trace constituents that aid, and compliment, and help us utilize the very component we seek. In a sense, a single herb is a compound formula. This is a great reminder and illustrates the value of drinking herb teas. How about adding ginger to your routine? When buying ginger root, snap off a small knob which should be crisp. Do not buy with any mold. Ginger can stay out of the refrigerator for about a week. Place in paper towels and they will keep much longer in the refrigerator. Unpeeled ginger root will last longer. Peel the skin off as mentioned above when you are ready to use it in tea or in a recipe. Keep what you need in the refrigerator. Freeze the rest for later use. A little sharp, pungent flavor mixed with the oils in lemon goes well with the addition of maple syrup, honey to soothe irritated or dry throats as winter keeps us indoors. 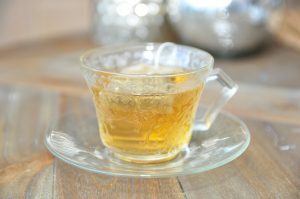 Here’s an example of a ginger tea recipe, easy to make. Peel the ginger root and slice it into thin slices. Bring the water to a boil in a saucepan. Once it is boiling, add the ginger. Cover it and reduce to simmer for 15-20 minutes. Strain the tea. Add honey and lemon to taste. Pungent and spicy with a little kick in taste soothes stomachs. When our digestive organs are soothed we are soothed. It’s fascinating to me that an herb to calm the stomach actually soothes our mind. When we are calm so is our digestion. Everything is connected and single herb teas provide so many tasty solutions to what ails us. What’s your favorite? Be well this holiday season. Description: Ayurveda means the science of life. Ayurvedic Medicine developed and recorded over 4000 years ago, based on the keen observation of the outside world and how it relates to our inside world, is a great example of a holistic medical model. My guest this week, Dr. Scott Gerson, is licensed as an Ayurvedic physician and a Medical Physician practicing in NY and Florida. He seeks to build bridges between both worlds. Dr. Gerson gives us several practical tips and guidance for improving immunity and resistance, all perfect for the upcoming holiday season. Description: Healthy soils support healthy plants, create nutrient-dense foods, help create better health. It all begins with the soil. My guest this week, Nigel Palmer, is a soil consultant and teaches sustainable and regenerative soil practices with The Institute of Sustainable Nutrition, TIOSN, here in North CT. What’s good for soil biology, the “digestive system” of soil, is actually important for us. Join us for an informative discussion on growing nutritious foods from the ground up. About My Guest: Nigel Palmer is a Bionutrient Food and Soil Consultant practicing sustainable, regenerative mineralization programs. He develops plant and soil improvement products by fermenting local plants, extracting minerals, and capturing then cultivating indigenous microorganisms. He uses the refractive index of plant saps and crops as a way of monitoring long and short-term plant health trends and the efficacy of the products developed. Nigel is the Outside Consultant for The Institute of Sustainable Nutrition or TIOSN. He teaches sustainable regenerative gardening techniques, the keeping of bees, and discusses monthly, the night sky and many subtle nuances of the world out of doors.